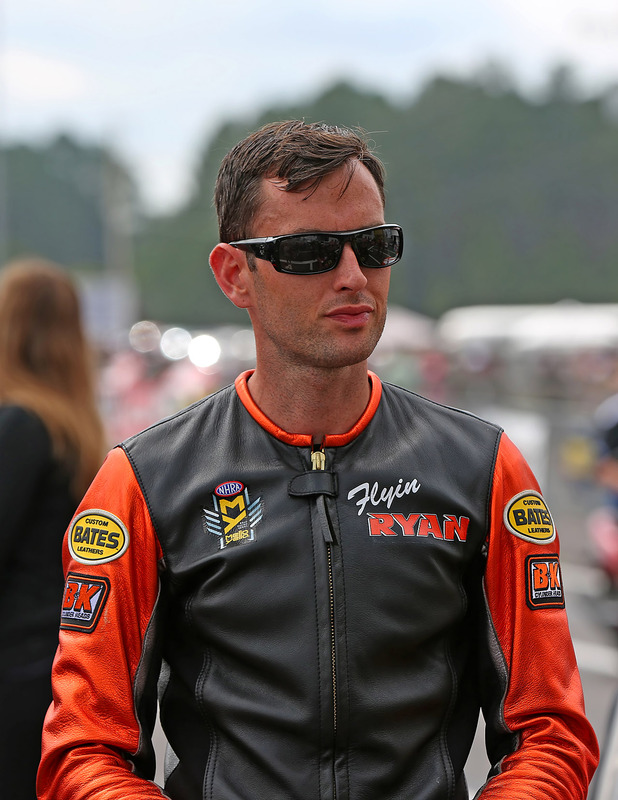 National Hot Rod Association (NHRA) Pro Stock Motorcycle racer “Flyin’ Ryan” Oehler had planned on his home track race being a bit more of a laid-back, social affair than the Jegs Route 66 NHRA Nationals at Joliet, Illinois, turned out to be. But a pre-race thrash, a solid mid-pack qualifying effort, and putting another round win in his logbook kept Oehler and his team firmly in professional mode and showed that they are NHRA’s most solid bet for the Road to the Future award—the drag racing organization’s version of Rookie of the Year. After the Atlanta race in May, Oehler picked up a hot new motor from George and Jackie Bryce at Star Power. “We tested the last two weekends before Chicago,” said Oehler. But unfortunately, a major engine failure while running at Lucas Oil Raceway’s Night of Thunder in Indy the Saturday before the Joliet race put Oehler’s team on the back foot. Adding even more pressure, Central Illinois was waist deep in a May heat wave, which meant that Ryan and his engine builder—his dad Brad—were both working late every day from Sunday through last Thursday operating their Bloomington, Illinois-based heating and cooling company. 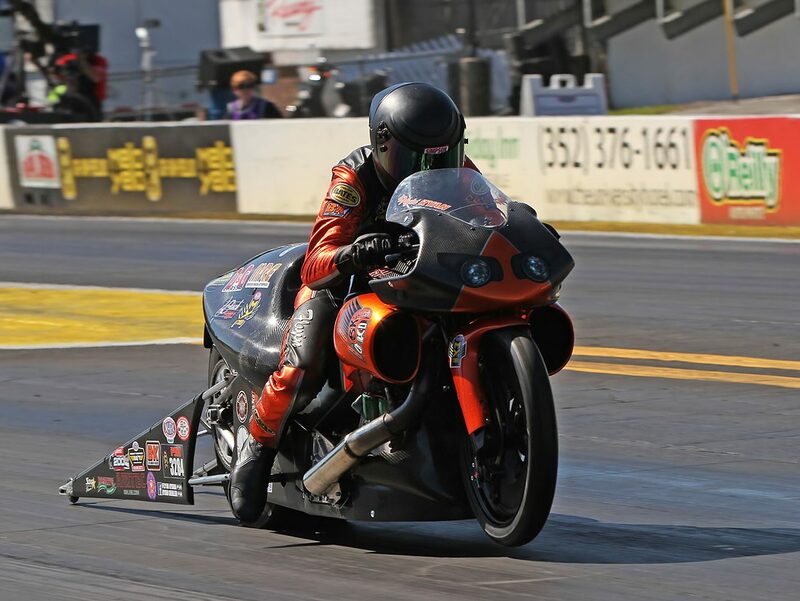 The team jumped right into high gear and got the bike into the lanes for the first qualifying round, where the bike made a hard move to the wall at about 100 feet out and Ryan cut gas. But after two mediocre passes on Saturday, Ryan got bumped to ninth by Hector Arana Sr. “We missed the first goal, but we were presented the opportunity to redeem ourselves. Our Sunday would start by racing the very team that just bumped us. “Race day started with our confidence very high because we knew that we had underperformed thus far. We spent hours carefully planning our tune-up and executed with the meticulous nature that has gotten us this far,” continued Ryan, a two-time AMRA Pro Modified champ. 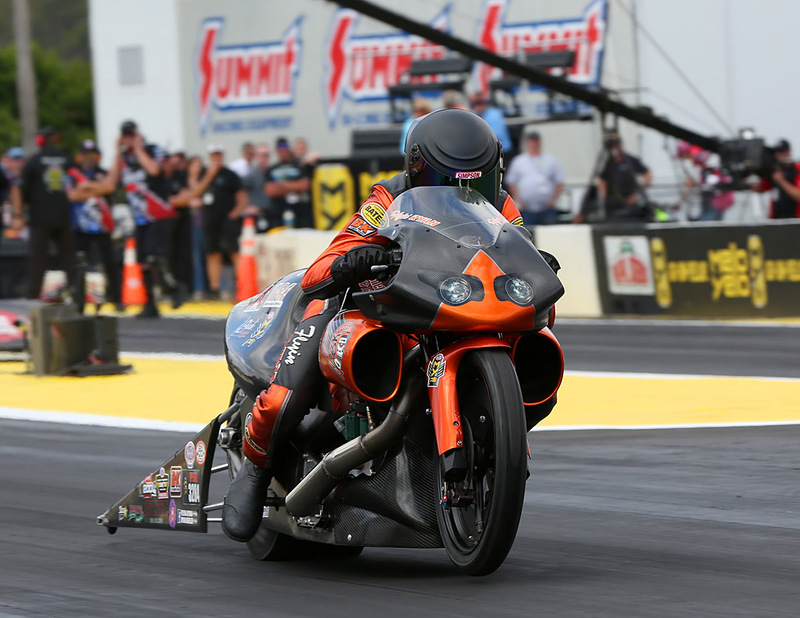 Despite the loss to Hines, Oehler had another round win at the event and the rookie goes to this weekend’s Virginia NHRA Nationals at Virginia Motorsports Park sitting eleventh in the standings. That’s a mere seven points out of the top ten cut-off for the Countdown to One championship playoff—a remarkable achievement for a completely independent rookie rider and one-bike, family team. “We do very well when we are up against the wall and under pressure. It has historically been that way and this weekend most certainly proved that. “We also had hundreds of local fans, family, and friends come and show us love. That really is a blessing and means so much after the kind of week we had. Being the hometown favorite and underdog seemed to give everyone another reason to show that support, and that is the exact thing that makes us thirsty for more. It was truly an amazing weekend. “We are primarily a self-funded team, but it’s amazing how many people are behind us. Every little bit helps and so many companies, friends, and fans have come forward and helped push us to further our program. It’s very humbling to receive so many positive words of encouragement. “The Birch Family, especially, has been a huge support to our team and we were very excited to have them in attendance this past weekend in Joliet. High Performance Lubricants were also there and they have been a tremendous help with their amazing product line. George and Jackie Bryce of Star Power have been behind me since day one and we continue to work together in the hunt for horsepower. “But the biggest contributor to the team is my father, Brad. His hard work and dedication ensure we will continue to be more consistent and run lower ETs. Brad, Ryan, and Alex immediately began the turnaround to be ready to leave Thursday at noon for Virginia Motorsports Park and the next race.